Rick, the “Brick” is in the house. Or in this case…the kitchen. In case you don’t know who Rick is, he’s my handsome husband who helps me with everything I do for this blog. I want you to know, that if it wasn’t for him, this post would not be possible. He gets all of the credit. The brick adds depth to the room, and actually grounds our cozy kitchen. 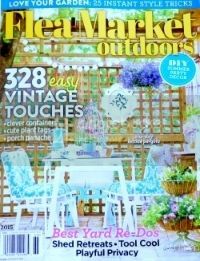 It’s a beautiful, warm, rustic focal point. We happen to have a fireplace on the other side of the kitchen that I wanted to match, or at least get close to the same brick color. 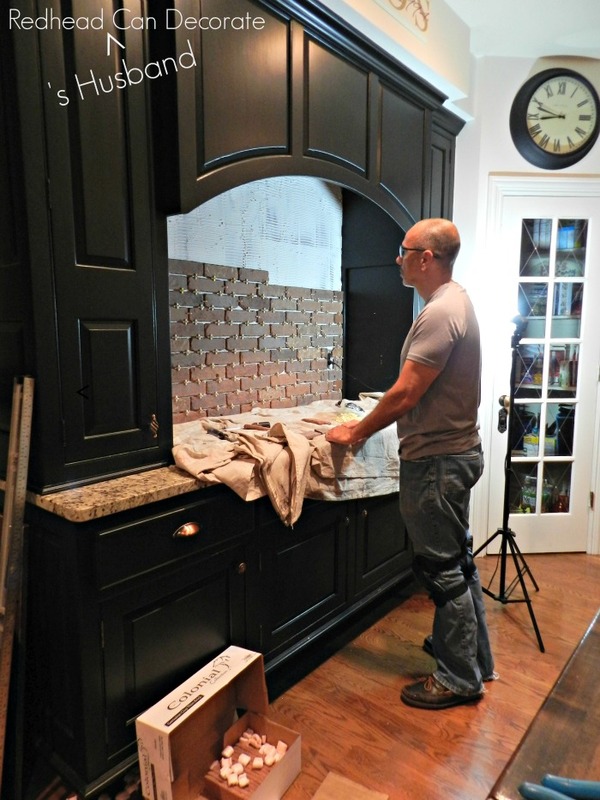 So…here’s the story behind the “Brick Backsplash”. 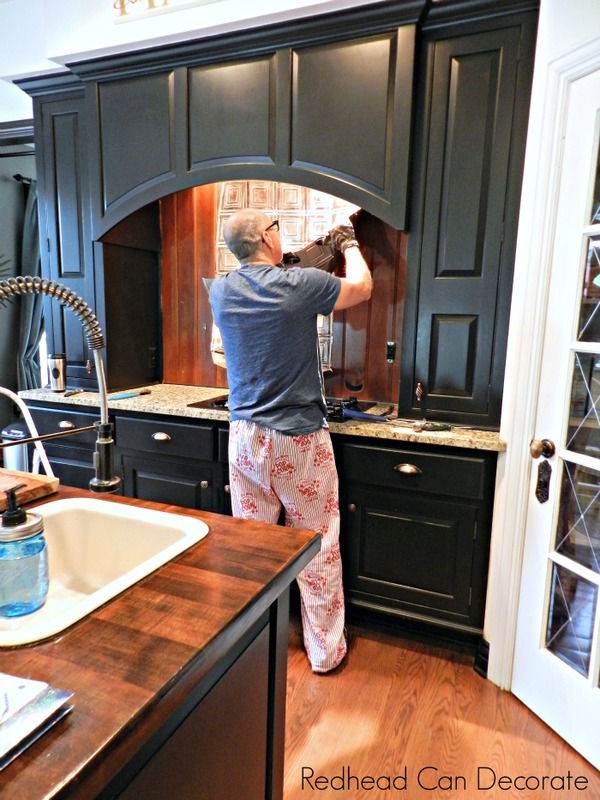 You can view our full “DIY Kitchen Makeover” here. If you look closely…there was fire damage. This was a big red flag to us and we knew we had to do something about it. That was when we decided to put copper tin up. I was happy with it for a little while, but then it seemed too flashy to me. That’s when I got a little crazy and painted over the tin. I gave it this white washed look. Once again…I was happy with it for a while. Until we switched to granite. Then it seemed to clash. So…here’s Rick the Brick in his POP pj’s taking matters into his own hands. Literally. That morning we looked up “DIY Brick Wall” on the internet. Believe it or not, we didn’t find much. 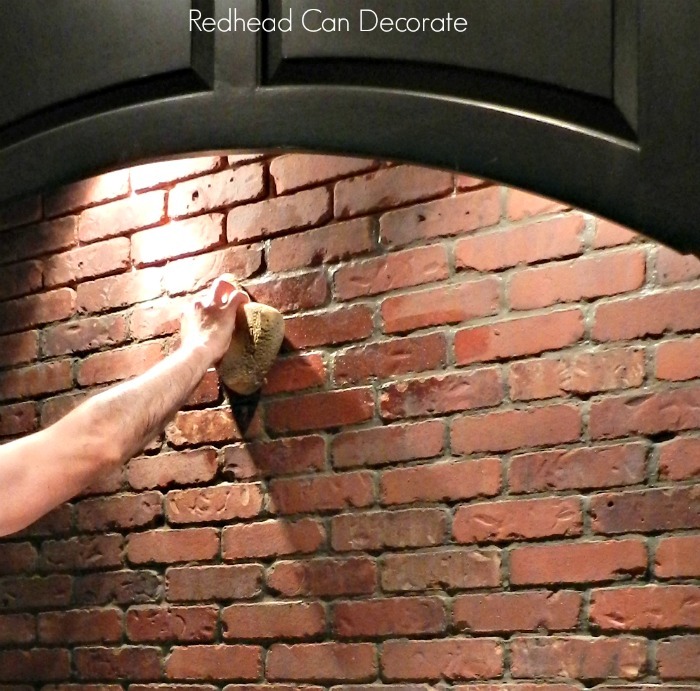 So, hopefully this post will help a lot of people that wish to put up a brick wall, or back splash. 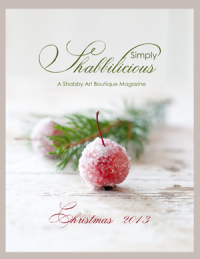 Before I hand my blog over to Rick, here are a list of products. FYI-the bricks are not full size bricks, but they are REAL BRICK, just thinner. It’s very affordable, and much easier to have delivered. We used almost 4 boxes of brick, 1 large container of adhesive, and 1 bag of basic mortar. After surface is clean of debris, attach a level ledger to the wall to ensure your first level of brick is straight and level. We used 1×4 ripped in half and attached it to the wall, using a level to keep it straight. Then we spread adhesive (molding covers up any gap if there is one). Once the adhesive is spread on your wall, score it with the trowel so you have grooves evenly throughout the adhesive. This will ensure proper adhesion of the bricks to the surface of the wall. 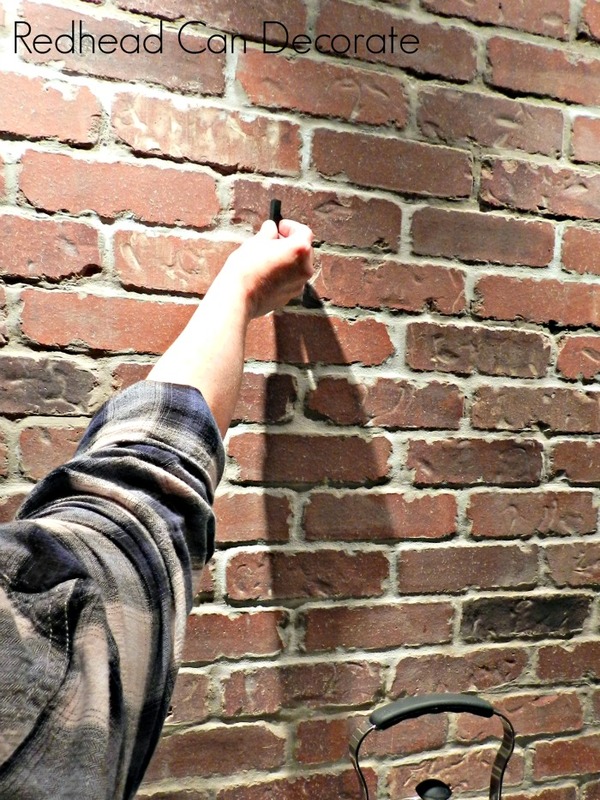 You will want to measure your wall area ahead of time so that you are able to lay out the bricks evenly. This will ensure you know how long to cut the end brick on each layer and create an even pattern. Now, begin laying your bricks using spacers in-between each brick on both sides and top. You will create an even pattern this way. After you have finished laying your brick wall, allow it to dry for 24 hours. Now you are ready to mortar the joints. Fill in the joints with mortar using a trowel. Let set and then clean the brick and mortar joints with a damp heavy sponge. Let the brick dry for another 24 hours and then seal the brick with a quality brick sealer. These sealers come in several different sheens. We used high gloss which gave the brick a richer look. Okay…now it’s me again. Thanks, Richard. Great job! Before we applied the sealer, I got whip lash turning my head back and forth trying to judge if the brick matched our fireplace on the other side of the kitchen. As you can see with the photo above and below, the brick was lacking the dark grey shadings that I love so much. So…I took matters into my own hands and stole our daughters pastels. I took a risk and shaded some of the bricks with black. It was very simple. I just blended it with my 2 fingers and if I made a mistake it came off with a damp rag. It was actually very fun. Here it is after it was sealed and dry. That dark brick right by the pizza cutter is my favorite brick! 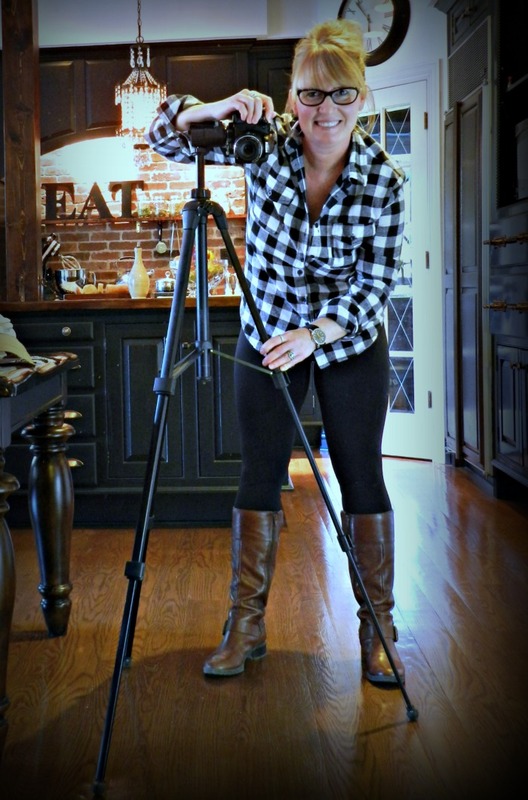 I like it so much that I used the backsplash as a back drop for my new blog photo,lol. 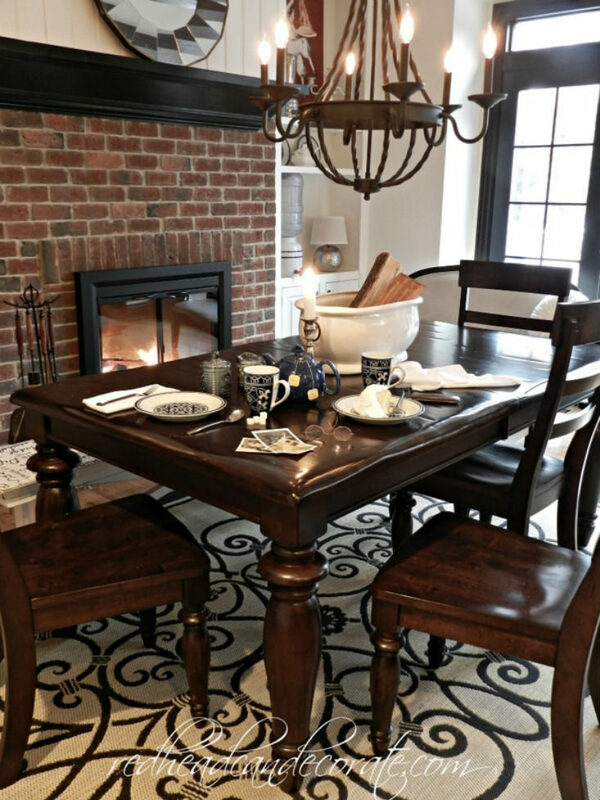 Stay tuned for 2 more related posts…one of which will explain the spice jars and a few other details, and the other one will include our Fall Tour/ Thanksgiving Tablescape 2015, and a new full kitchen reveal. I’m calling it…”Our Thankful Kitchen”. 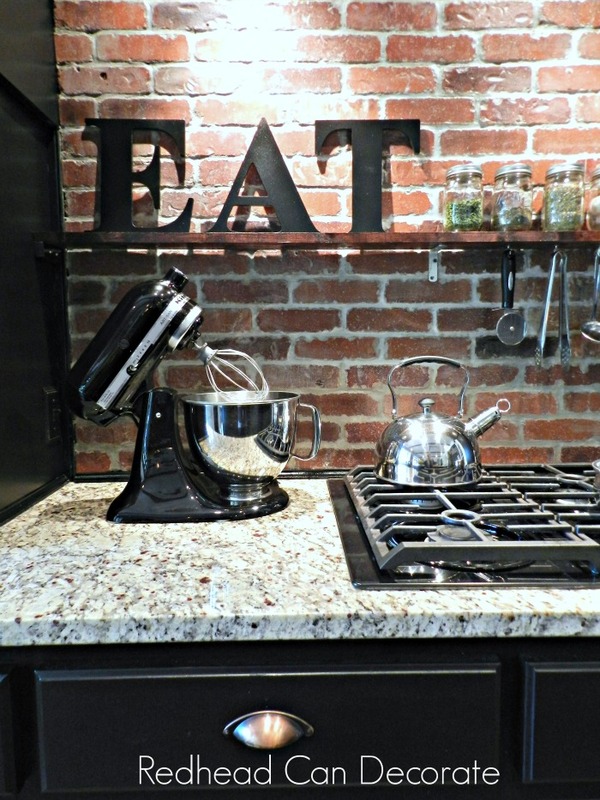 Love your brick backsplash! ❤️ Where did you purchase the thin bricks? I have my daughter- in- law the same black onyx mixer.she loves it. The information is in the post. 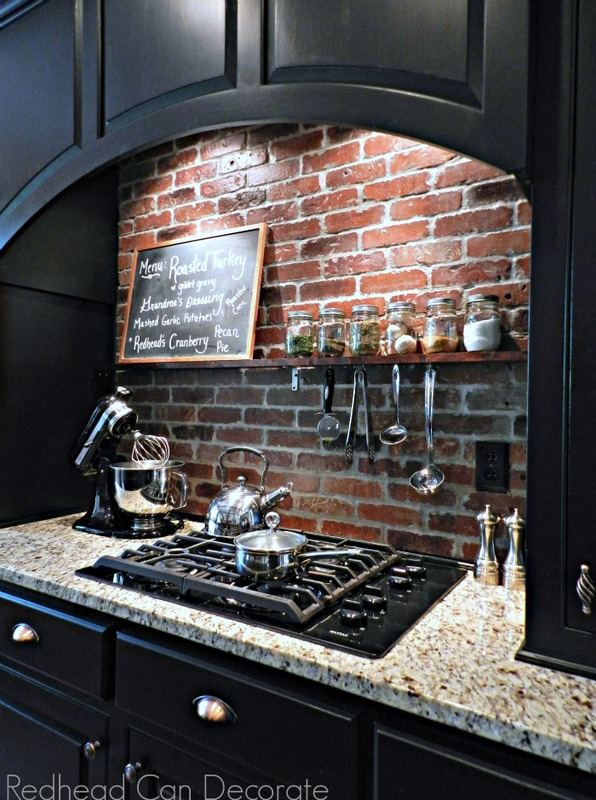 Julie, I absolutely love the brick and it is perfect in your kitchen! We are going to use real brick from a building that is 107 yrs old. We need to cut it thin ourselves. Do you know how think your brick is? Hi Cary! If you click on the link to the brick I believe it will give you the complete measurements. Good luck! 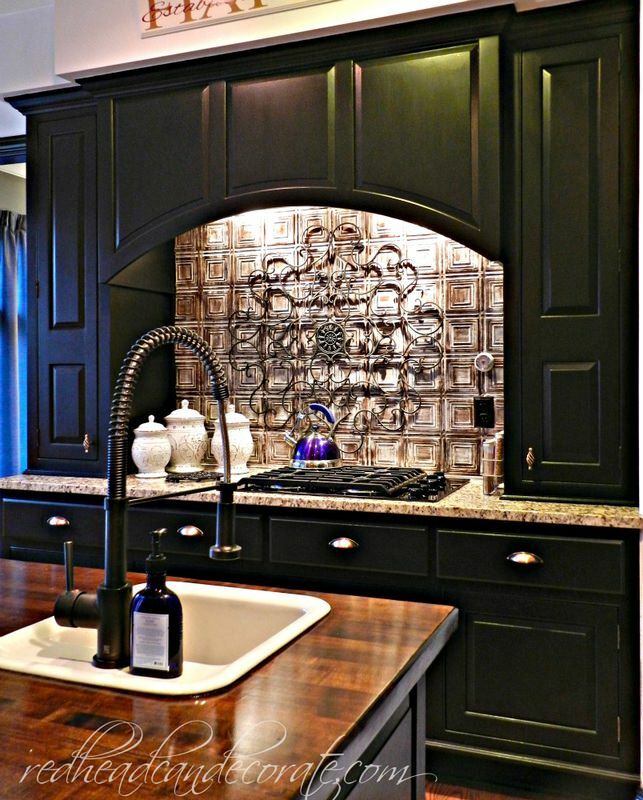 I love the look of the brick with your black cabinets. I also love that you indeed do have black cabinets! Great inspiration! Awesome job, what a transformation. It’s amazing what a difference some elbow grease can make! Sorry Rick, I should have said A LOT OF ELBOW GREASE. Your whole house is a beautiful home; I love it. It looks so good. I have a real brick hood and oven wall and get so many compliments. It’s different from the subway tile (which I also love) that is the rage right now. Good job. 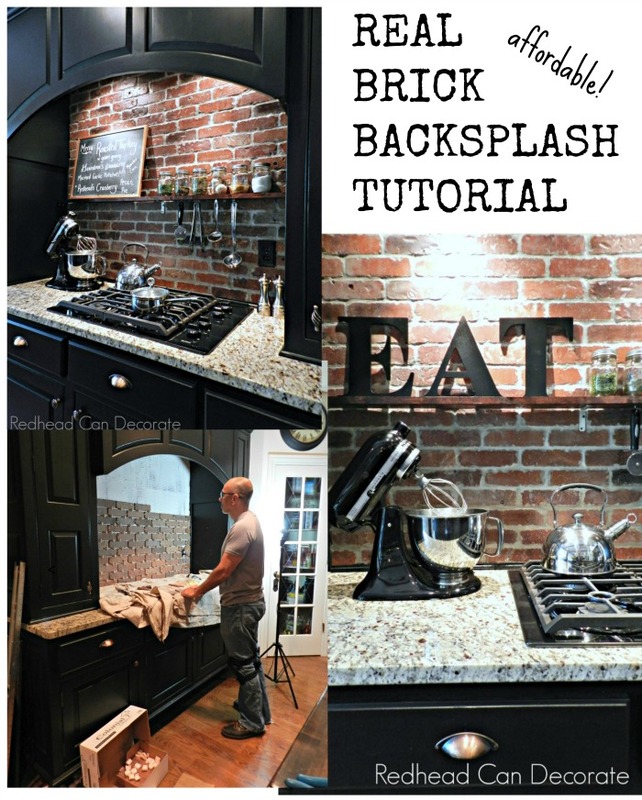 We had brick in our last kitchen ( original brick exposed ) and I miss it SO much – maybe I should do this – it’s just perfection Julie !!! 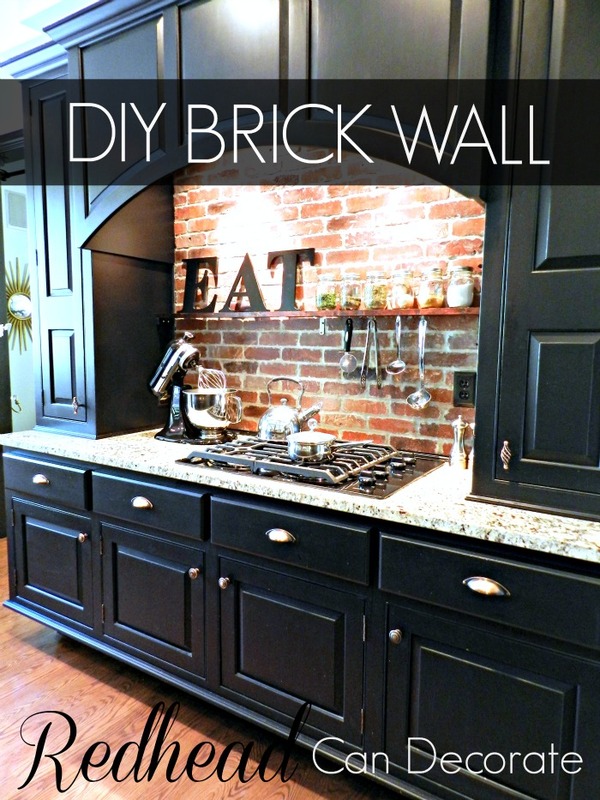 I have always loved your kitchen, but the brick is KILLER AWESOME! Great job. This is so beautiful…. Love your kitchen ! Kudos to the both of you for an amazing DIY! I love the brick and the fact that it echoes the fireplace brick. You have a dream kitchen! Love it! Husband did a fantastic job!!! I have the same on my backsplash and also the back of my stove! We built our farmhouse two years ago! Also I have a fireplace in the kitchen that is brick too! I love it! 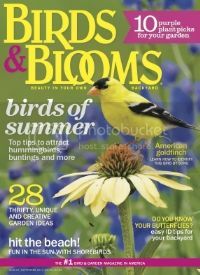 It is the perfect match for any decor!!!!! We used the thin brick also for the backsplash and behind my stovetop but ours already had the darker bricks mixed with the red ones! Clever to shade them !great job! Love, love love it!! Hubs did an amazing! 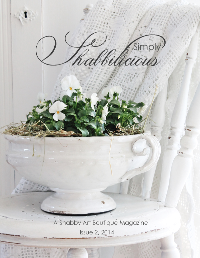 Looks wonderful in your beautiful kitchen ! Back in 1974 we built a new house in the country. 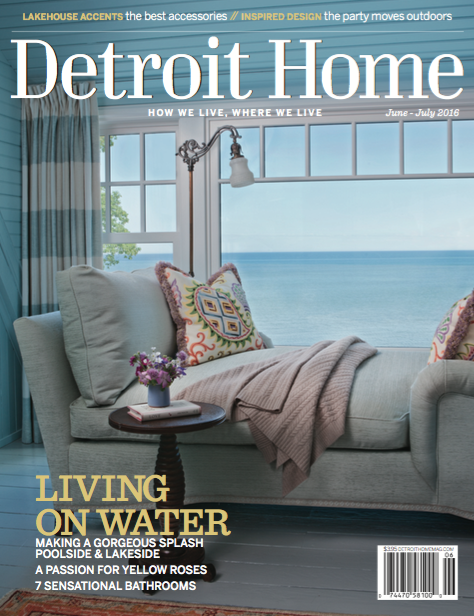 The two things I wanted were: a round arch with brick behind my stove and a sliding barn door. Well I got them both and I LOVED my brick. Yours is so great!! 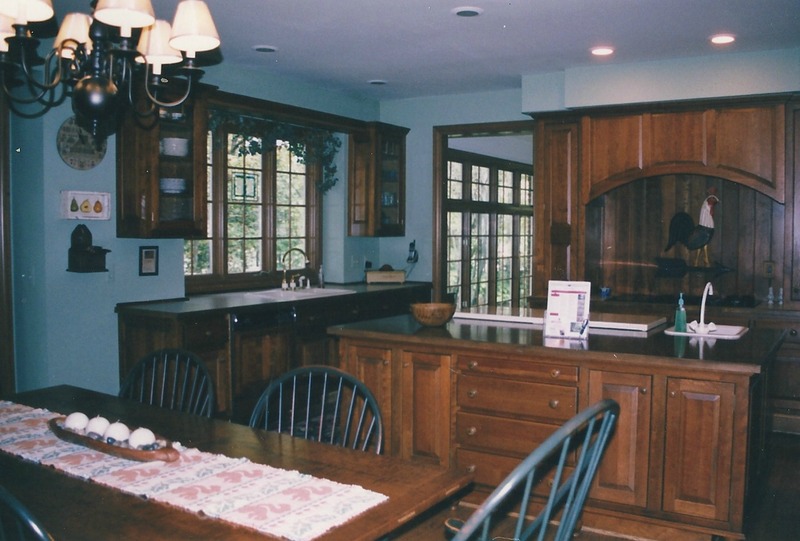 I love your kitchen and its many transformations ! 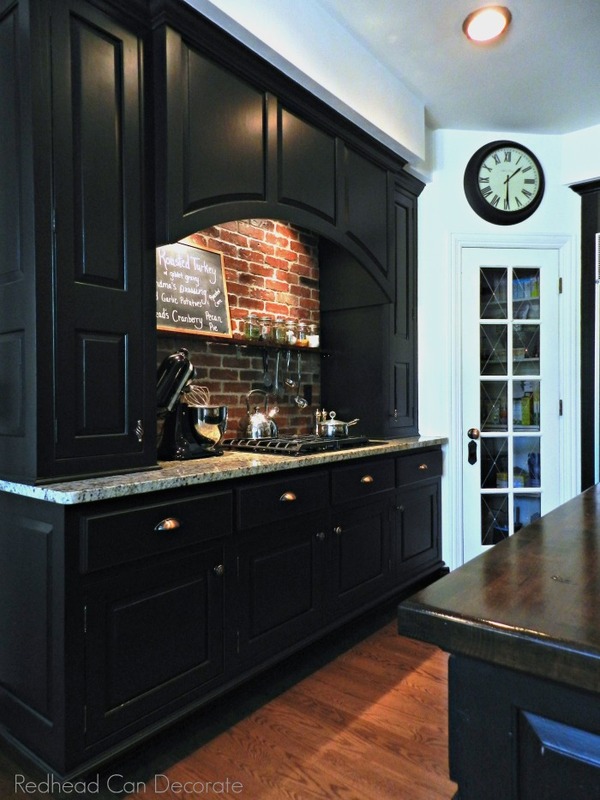 The brick is really wonderful and it is so fantastic with the black cabinets. Hope you are enjoying the beautiful autumn days ! Gorgeous backsplash! Lucky to have a great handyman! Your kitchen is beautiful! your kitchen is stunning! and the brick is just the icing on the cake. Your kitchen is absolutely beautiful. Great job. No mention of WHAT you sealed the brick with. I’m certain one could come up with a few products to do the trick, but what did YOU use? It has to have a non porous surface for most folks due to the place it is located with foods/etc splashing up on it. The problem too, is if you get TIRED of it (like you did the other), you’ve got major surgery to remove it and start from scratch. The removing of the previous backsplash was of no consequence. Kevin- Everything is now listed in the post for your convenience. There are absolutely no problems with this backsplash. My husband is Italian and we make tomato sauce weekly. I cook every day, and still haven’t had to wipe it. However, when the splash happens, or the need to wipe exists, I simply need to take a wet hot soapy dish cloth and wipe it clean. The sealant protects it from everything. This is for keeps. The tin was a mistake and I knew it from the start. It matches our fireplace in the kitchen perfectly. When you install something this beautiful, and classic, there is no need to think about removing it. Gorgeous…the brick is a wonderful idea. Your kitchen is beautiful. Great job. I have seen many back splashs, but brick is a new one. If I had a fireplace in my kitchen, I might never want to leave. We painted and revamped our kitchen a few years ago in a farmhouse style. My sink is in front of a blank wall and while I’ve tried to add interest with a task light and other dec objects, I really wanted to enhance the farmhouse style with bead board or brick. I really love what you’ve done and knowing that the bricks can be colorized using art pencils/chalk makes a big difference for me. I love what you’ve done here and am still trying to decide between the two since I love both looks! So awesome, Barb! Good luck!! Quick question – how did you cut the bricks? Thanks! Hi Linda! Great question, and I completely forgot to mention that. We borrowed a tile wet saw from our neighbor. Hope that helps! If you want the brick we used, you need to order it on line. I haven’t seen it anywhere. I left the link in the post for your convenience. Let me know if you can’t find it. Drywall would be fine. 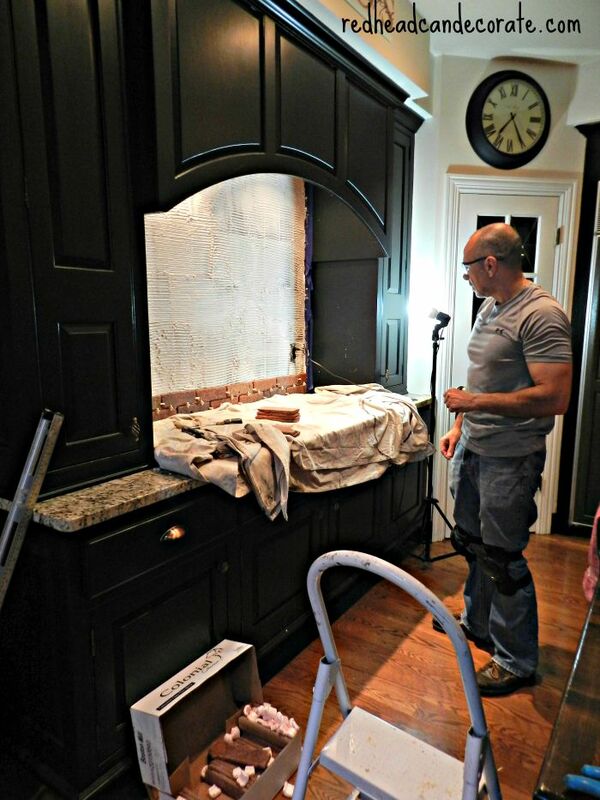 Love this and already have brick backsplash! How did you do the removable shelf? I would love to add that to mine. I LOVE your ideas! Love love love the brick!! I am a brickaholic I admit it. I’ve been debating to do my kitchen in white or black with brick, you just sold me on the black. Thank you for a wonderful tutorial! I love the brick look in the kitchen. I was actually thinking of remodeling my kitchen in whites until I saw this! I do have a question though. I am a messy sort of cook so I was wondering how the brick holds up to, say grease from a pan? Spaghetti sauce etc.? Does it clean up easy? I am messy too, and I haven’t even had to clean it yet, lol. When I do it will wipe right off because it is sealed. I also have white cabinets in the kitchen. It balances it out. Nice write-up of using thin bricks. Love the look you have with the lighting in the backsplash space. I have been thinking about something similar, but it is in a small cove area of around 20×20 inches. Too bad they don’t sell the bricks in smaller packages. I might just have to cut my own bricks or find someone else’s leftover thin bricks. I have some leftover bricks from me doing my patio.. they are standard brick and not these thin ones… I would really like to put them to use in my kitchen and this projects looks like a great idea to use them.. do you think that they would work just as good? Or do you think that I would have to find someone to cut them? Hi Sara, I would consult a brick layer, or go to your local stone/brick dealer and ask their advice. Do you have the space to put a full sized brick up? 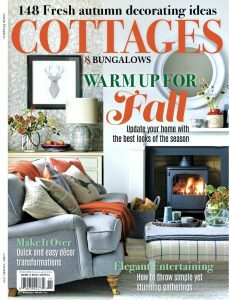 Beautiful, Rustic, Classic, Warming. Love your kitchen. Rick the Brick—Great Job!! How has the brick backsplash held up to grease and other cooking mess? I guess I really want to know how hard is it to clean? I cook every day Nancy and I’ve never had to clean it! I know it sounds gross, but it doesn’t show anything! If it did there is a sealant on the bricks so it wipes off. ; I probably should go over it w soap and water, but I keep forgetting. Now my stove is a different story. That thing gets dirty easily. I love my bricks! What type of sealant did you use on the bricks and how many coats? Hi Chris, There is a link in the post to the specific sealant we used and instructions are included. Love our brick backsplash. Love your countertops. 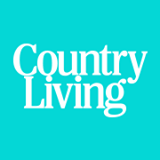 What is your countertop product information? Enjoyed your helpful info. I have black cabinets and deciding on a backsplash. This helps. 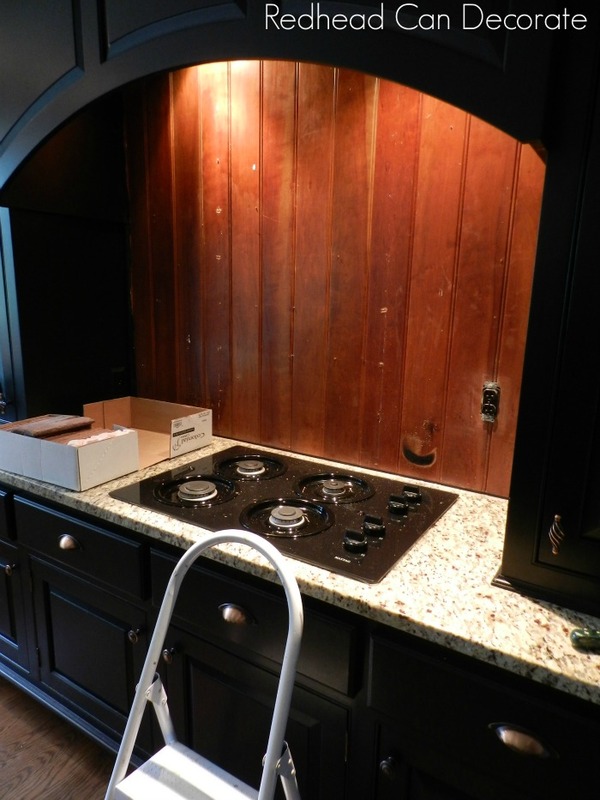 Thinking of butcher block for countertop which I see you have as an island. Appreciate your information. I have never had to clean it and I cook a lot! However if you do, you just wipe it with soap & water. It’s sealed. Beautiful job, what size spacers did you use and where did you get them? You guys did such a great job!! Love the backsplash and was inspired to do my own. Unfortunately the mortar keeps cracking. Did you have any problem with this happening? Also, how long did you let the mortar set before you cleaned it all with a sponge? Thanks! Shelly, We are thinking that possibly your mortar wasn’t wet enough. Did you use the same mortar as we did? Hi, love what you did. It looks great. I did that to the backsplash in my kitchen 50 yrs ago. The grout has turned a greyish color now. I was wondering if its possible to remove the brick at this point, or how to clean the grout. Thank you. Thank you, Harriet. Is the grout sealed? I came across a box of these thin deco bricks. But they are uniform like new. I like that old worn look, corners missing, cracked etc. How did you achieve that look with your bricks? The ones in my post come that way. Use the link in my post. 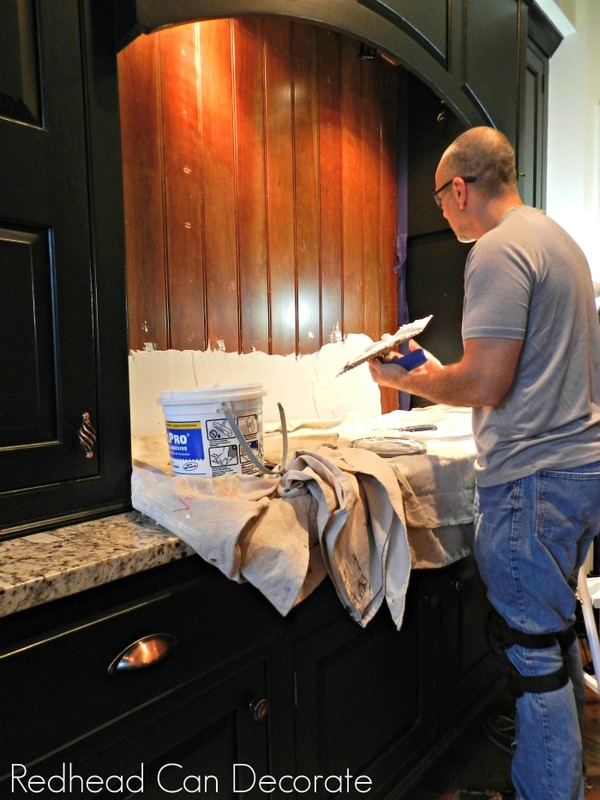 Did you use something besides grout between the brick and your counter top? Like sanded grout with silicone? or something else? trying to figure out how to finish up the project at my house. Thanks.